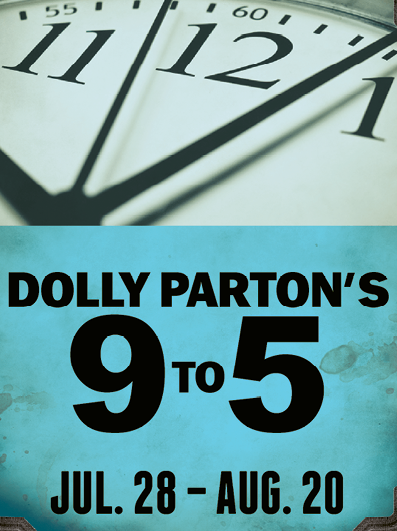 The hilarious hit movie 9 to 5, with its catchy theme song, can still feel relevant today. The story of secretaries who plot to overthrow their sexist boss shined with the combined talents of Dolly Parton, Lily Tomlin, and Jane Fonda. Fast forward 45 years, and the movie’s now a stage musical with an inventive score by Parton. The show has been drawing big crowds nationally, and when Flat Rock Playhouse asked 30,000 patrons to vote on shows for this season, it came up a big winner and snagged a run starting in late July. The cast includes actors with Broadway credits in the lead roles and features local favorite Scott Treadway. Parton’s character, Doralee, is played by the vivacious Laura Woyasz, who made her Broadway debut as Glinda in Wicked.